The Swedish mines were the richest in Europe and at one point 80 % of the copper consumption in Europe had its origin in Sweden. Even the cavemen used it to make their rock drawings. 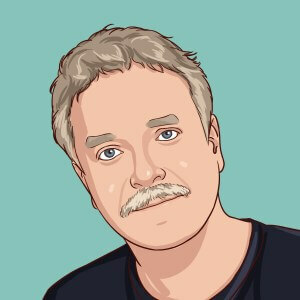 Slam is originally a German word (schlamm) that just means minedust, or mud. Also in Limburg (the south of Holland), this word was used and spelled as ‘schlam’. In Sweden the word ‘slam’ (slamfärg) is used. It was clearly obvious to use this red, yellow and black stuff that just came out of the ground as pigments for painting houses. Old wheat and/or rye flour acted as a thickening agent, water and some other stuff from the mine was added (iron sulfate powder ), and then it just had to be cooked and mixed. Later it turned out the paint rinsed off too quickly, so linseed oil was added. This is still the basic recipe of slamfärg. The pigment still contains 0.24 % lead and therefore Moose Färg wood stain has specially selected lead-free pigments. After red, the colour white became fashionable (white was more expensive, so you could show off with this colour) and also the typical green (the colour of copper oxide) and blue (presumably derived from the so-called Berlin blue). Boil the water . Add the pigment and let it dissolve for about 15 minutes while stirring well. Mix the flour with a little water and add it to the boiling mixture while stirring. Allow it to simmer for about 1 hour until the flour has become starch, and give it another good stir. Add the pigment, and let it simmer for 30 minutes. There are many myths and legends around this Swedish red wood stain. The first to discover the red stuff said they encountered a goat that had been stuck in the ground with his horns, and scared the villagers in Dalarna when it walked around with red horns. 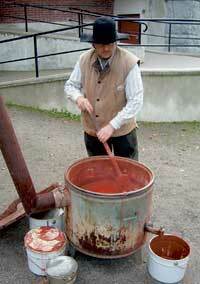 And then there are stories about whale blood being processed in the paint, to enrich the colour. But whale blood is actually not red, it is dirty brown. They actually used to throw in a bit of everything in the paint, anything cheap and sticky. 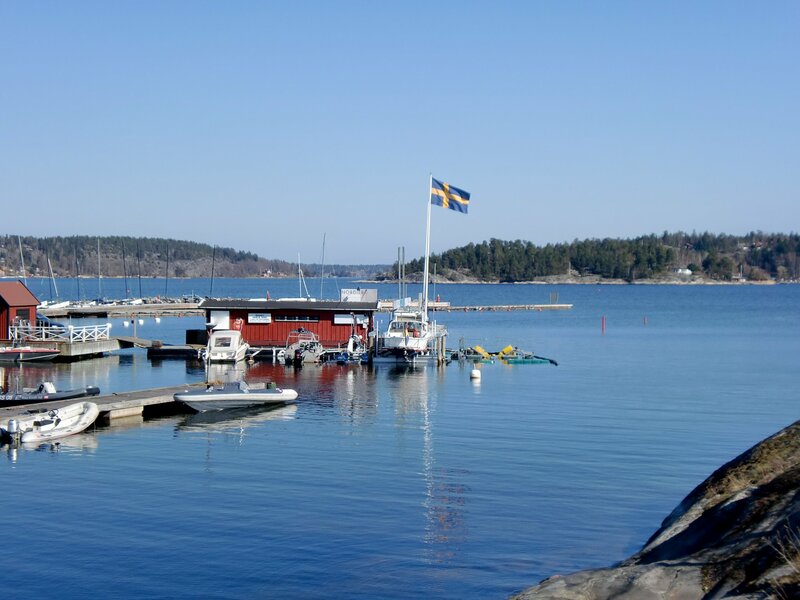 But the Swedish red colour comes from the finely crushed ore, which was heated strongly first. 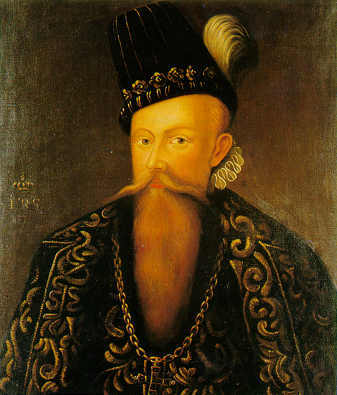 At a certain point, King Johan the third decided that Sweden needed red roofs and red houses, and he made it mandatory to work with this wood stain. Incidentally, this wood stain happened to be for sale at the copper mine in which had Johan shares. It was the cheapest wood stain, so if you had more to spend, you painted the front of your house white.This is how the other colours were created. The red paint was the hallmark of the Swedish landscape though, and actually throughout Northern Europe, including the Baltic Sea. No wonder, because it’s just beautiful. They didn’t think about the heavy metals then. From my own experience, I know that the colour is mostly the same in Finland. It is called puunamaali (red paint) here, also puunamulta (red mud). 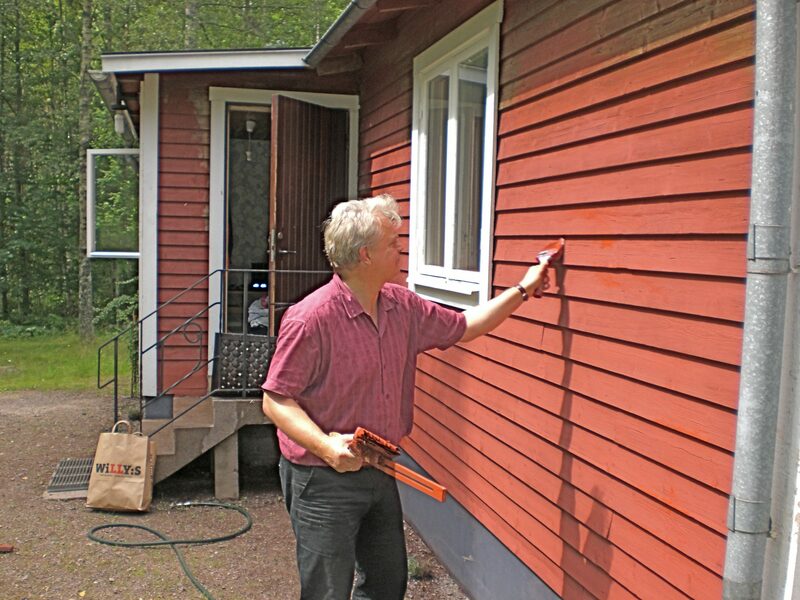 The falurödfärg wood stain in Sweden contains lead and is therefore strictly monitored in the EU, where it is forbidden to trade paint containing lead. Moose Färg S type Swedish red wood stain is specially produced for export and contains no copper or lead. Do you want to order Moose Färg matte wood stain?